Dr. Kalbfleisch is a Professor of Biostatistics and Statistics at the University of Michigan, Ann Arbor. He served as chair of the Department of Biostatistics, School of Public Health, from 2002 to 2007 and as Director of the Kidney Epidemiology and Cost Center from 2008 to 2011. He received his Ph.D. in statistics in 1969 from the University of Waterloo. 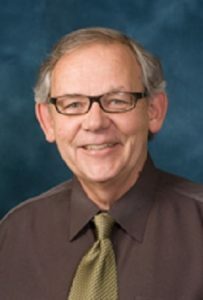 He was an assistant professor of statistics at the State University of New York at Buffalo (1970-73) and on faculty at the University of Waterloo (1973-2002). At Waterloo, he served as chair of the Department of Statistics and Actuarial Science (1984-1990) and as dean of the faculty of Mathematics (1990-1998). He has held visiting appointments as Professor at the University of Washington, the University of California at San Francisco, the University of Auckland, Fred Hutchinson Cancer Research Center and the National University of Singapore. He has interests in and has publised in various areas of statistics and biostatistics including life history and survival analysis, likelihood methods of inference, bootstrapping and estimating equations, mixture and mixed effects models and medical applications, particularly in the area of renal disease and organ transplantation. Dr. Kalbfleisch is a Fellow of the American Statistical Association and the Institute of Mathematical Statistics. He is also an elected member of the International Statistical Institute, a Fellow of the Royal Society of Canada and a Gold Medalist of the Statistical Society of Canada. He also received the Distinguished Research Award from the UM School of Public Health in 2011.